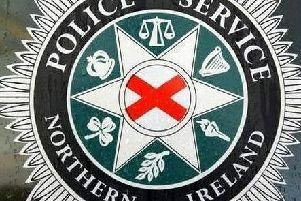 Two schools in north Belfast have been closed today following the closure of the Antrim Road due to a collision. Ben Madigan Prep and Our Lady of Lourdes Primary have shut following advice from police. A spokesperson for Ben Madigan said: “As a result of the serious incident that occurred outside our school gates this morning. we have been instructed by the PSNI to close the school today. The Antrim Road remains closed in both directions between Grays Lane and Downview Avenue. Local diversions are in place at Grays Lane and Downview Avenue with delays expected due to widespread traffic disruption. A spokesperson for Translink said: “Due a serious incident on the Antrim Rd there is traffic disruption in the area, delaying services. “Services to divert outbound via: Donegall Park Avenue, Shore Road, Whitewell Road, Floral Road to Antrim Road then on as normal. A spokesperson for the Northern Ireland Ambulance Service Health and Social Care Trust said: “Northern Ireland Ambulance Service received a 999 call at 6.23 on Thursday November 22 following reports of a road traffic incident on the Antrim Road, Belfast.